Thanks for the video. Is it possible to add radius distant from the restaurant for purpose of delivery? I am sure you can embed a 3rd party service or system for order deliveries. Thanks for your reply Adam. Do you have anything in mind? I looked for the plug in for this purpose in the last couple days could not find it. I even looked at paid theme that include delivery distant limit but could not find any. Most of them just for pick up order. Hi, thanks for the video. I am having issues trying to download the template. Whenever I press download template it just refreshes the page. Any help is appreciated. Thanks Mark. Sorry that it wasn’t working. It should be working now. Hello Adam, thanks so much for this video. Please is there any means possible for me to add sliding images to the homepage? Sometimes it takes up to 5 minutes. Sounds like you may need to redownload it because there is nothing wrong with it. Does it show activated on your website? Further clarification on the problem is I’m being asked to log in when I attempt to use the theme customizer and admin section. You shouldn’t be if you are logged in and the account has admin rights. Thanks for the template setup! It saved me hours and I love just being able to add my touch and go. I have a problem though I’ve been unable to remove the wpcrafter as a username. I don’t know if perhaps because I have another site linked to my account is the issue or not, but any assistance would be truly appreciated. In the tutorial, I show you how to change that username. but can you Please reply me back with a link on the video??? Please use the search feature on my website. hey Adam, very cool theme, and Thanks so much for this course. I have a little problem, i’m trying to change the font in the HOME page and size, and I’ve try in different way and it don’t work. and no changes, can you please let me now how can I do it?? Please watch my video on how to change fonts. My apologies, this is now resolved. Thanks so much for this course. I already have an account with hostgator otherwise I would have signed up with InMotion for sure. Anyways, Like the comment above, the resources link is not showing on this page. I have no ad blocker installed and it’s not showing on Chrome, Mozilla, or Opera. Deeply sorry that the download was not available when you wanted it. It is now available again and I apologize for any inconvenience. It’s right here on the page, but if you have some kind of an ad blocker or anything like that running in your web browser, sometimes it hides the download button. Plz send me the link of Restore DFY Template for pique theme. Why when you can download it yourself. is it at all possible to get a similar theme to this one, except not in a 1 page scrolling solution ? Hey Joseph I have a whole new series of templates coming out very soon. I’ve been doing a lot of the behind-the-scenes work on my website to prepare for it. please disregard the jetpack error, I have contacted my web hosting company and have fixed it. That’s great news! Can you tell us what was wrong so that other users will know if they’re facing the same problems. Adam, I have a question regard Jetpack features, I have noticed on your list you have a 2 features that is not showing for being available to me on jetpack, Manage & Omnisearch ?? Then I have some that are activated but you haven’t and not sure if I should deactivate them, these are: Sharing, Publicize and Enhanced Distribution ?? For the purposes of this template you really only need the testimonials one. I personally don’t use the jetpack so I really can’t guide you on the different modules in the benefits of each one. Just keep in mind if you enable them they could make your website go slower. I am hosted with DDNS in Australia, which has a control panel. Please help as I need this website up and running asap. Yeah sounds like you have a problem with your Webhost. In fact it’s almost a guarantee because DDNS is really not a proper Webhost. Please disregard my question. I discovered the testimonial page was utilizing the Jetpack plugin and have managed to change the settings. Glad you figured it out! You won’t be disappointed with Elementor Pro. It is so powerful and easy-to-use. I really like this tutorial and the template. Is there a way to add a third testimonial on the testimonial page? This feature is currently enabled by jetpack. I think you realize that in a later comment. I have been an InMotion customer since you recommended it at the beginning of the year. I would definitely recommend this hosting company! Great support, quick support – honestly I am very happy with them! Happy to hear your experience has been great with them. love the theme, will this theme also work on Local by Flywheel? Hi, ii extracted the file and i port into my already built website but it not working at all. Pls kindly help me out. I need a lot more info then that to be able to help you. 99.999% of problems are caused by dirt cheap or free web hosting services. There is not much I can do about that. The setting is there in the Customizer for the sections. First, thanks for the great template. Second, I have figured out a way to mess it up almost immediately! I wanted to make the logo on the home page larger. Saw your css script in the comments to do so. Pasted it in the CSS Style Sheet and shut down my site. (I obviously have no clue what i am doing.) Is there a way to fix this? I can FTP to my site but am not thinking I should just charge in there until I have a little bit of instruction. Main obj is Improve Lives? Not money … ok …. sure …. Wow, completely shocked at the negativity you are bringing to my website here. Am I charging any money for this, umm no. Have I asked you for any money, umm no. Do I get anything money related at all from this, not at all. Hi Adam, Wp migration isn’t accepting restore file. It’s saying Unable to import. You need to unzip the download before you try to restore it. First off brilliant effort with the website template. I watched a few of your videos and they’ve been nothing but help, really appreciate it. I camo to this page via YT and I tried downloading the project files, but a very annoying popup showed up asking me if I would like to have the files send to me. It seems that I need to exchange my email address for the files, but that feels rather weird when I want to download files, just like it says on the description. Downloading is downloading and sending is sending, let’s not get confused here. Maybe you could change the text to “Have the project files send to you”, so it is clear what this is, a list building thingy. We all know that nothing is free on the internet and we have to get used to exchanging our personal “information” to receive “free” information, but please don’t be the person that willingly misleads people. It makes you look like a secondhand car salesman. Just my 2 cents. Good luck with your site and list building. Hi Mark. I think you are quite out of line here and completely wrong in your impressions. To be direct, I don’t think my website, my videos, and the effort I deliver for 100% free, is for you. You mean add a link on your website to a go fund me crowd funding campaign? 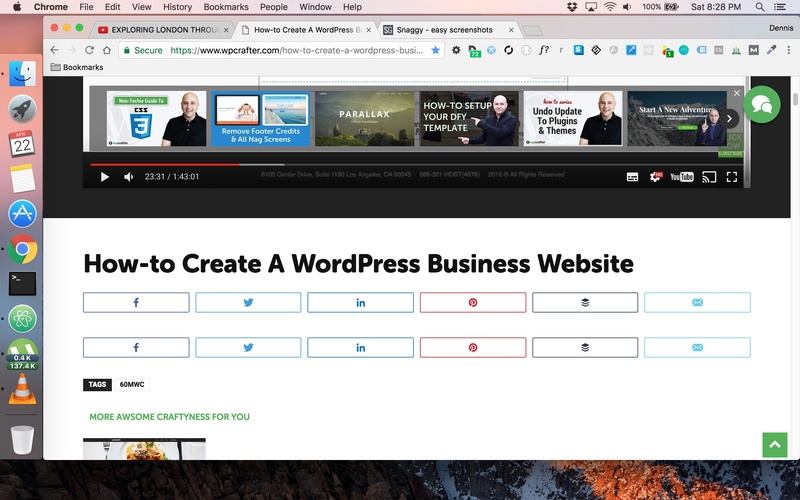 If you, yes you can create links on your website to any website you choose. Thank you Adam! I think I asked it the wrong way. How can I add a donate button to link to paypal. I am not sure how to do this. Thanks for your help you rock! Paypal will allow you to create a payment button. Then they give you the code to past into your website. It’s all pretty easy, but its on the paypal side of things. The footer is essentially just a widget area. You can add any widget you want to that area. I’m so glad to hear that!!! The site is great, Thank You. I have a problem though. When i send an email through the contact form it sends them to the email sent page but the email never arrives. I’ve looked to see if I’ve put the correct email in. Have you any ideas? 1) How can i change the background or menu item from ‘blue’ to ‘green’ color coz my product theme is green. 2) How can i add ‘order form ‘ into this theme? 3) How can i change background color for blog page coz it so white bright to me… If can change into more dark color, i really approciate. 1. You would do this with CSS. I have a video on customizing your site with custom CSS. 2. You can add woo commerce to the theme, its a free plugin. 3. That setting is in the customizer. Everything is written out in the resources file that was included in the download. Thank you for the tutorial; the site looks great! I’d appreciate if you could let me know how to modify the footer in order to include my company’s copyright info. This video here will show you how to do it. Let me know if you still need help after watching it. Hey Adam, wanted to ask you how can i erase or take out one of the panels, i only need 6 of them, thanks for everything! It’s in the customizer, I think under theme options. Its where you choose your panels, just use how many that you need. bro, i put the code on the edit css and it worked, you are the best, thanks a lot for everything, love the theme, the tutorial, everything, quick question, how can i get the free course? thanks again Adam! Thats great! Glad to hear. 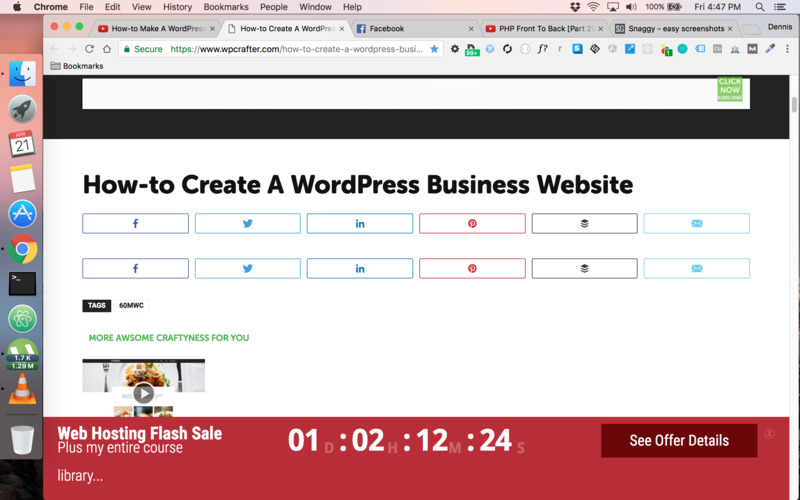 Regarding the free course, did you order the hosting through my link? i put the code on the pique theme style.css and it worked, but when i went to the child theme it didn’t worked, thanks for everything! So you put it in the child theme and it didn’t work, then you put it in the parent theme and it worked? Wow, the theme looks awesome, i wanted to know if i can erase or take off the stroke box that has the titles inside in each section, thanks! Great question Mario. Check back later in the day and will a code snipped for that. Thanks a lot Adam, awesome work by the way, will be waiting for the code! it will be a great idea to make that video, i copied the text on the style.css but nothing happened, the stroke boxes are still there, did I make something wrong? Thanks again. I’ll gladly help you, just tell me exactly what you did. Also make sure you add it to the bottom of the css file. I already have it made, just need to post it. Really like this template!! Is there a way to increase the size of the logo on the home page? Where it lists the height, increase that number. So you can start out with 150. Glad you like the template BTW. Yea I should add something there huh? Well the video goes through the ENTIRE setup. You are not installing a theme as you see in the video, you are restoring an entirely done for you website. Just follow the video and you will be fine! !